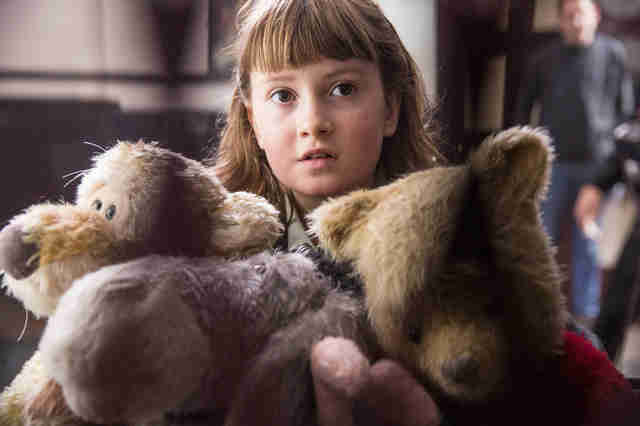 The movie might be called Christopher Robin, but everyone knows it's all about that bear. Bursting out of his little red sweater, dropping Zen kōans of wisdom, and fiending for honey at all times, Winnie the Pooh is unquestionably the main attraction of Disney's new live-action, talking-stuffed-animals movie, a Hook-like update of writer A.A. Milne and illustrator E.H. Shepard's classic tales of boyhood adventure. Despite being forced into the sidekick role for this new release, taking a backseat to the middle-age angst of his wrinkled human companion, played by Ewan McGregor, Pooh is the star. This shouldn't be a surprise. Between the marmalade-loving antics of Paddington and the bone-chilling roars of the bear-like beast from Annihilation, 2018 is shaping up to be a big year for rambunctious, furry creatures that are up to no good. Why bears and why now? With their love of picking through the trash and chilling in hot tubs, bears are perhaps an ideal avatar for an era where moments of leisure must be snatched from the chaos of life with ferocity. They make a perfect GIF, an ideal viral video, and, if you're Leonardo DiCaprio, getting almost eaten by one can help you win an Oscar. Bears deliver. It's unlikely McGregor will follow Leo's path to award season glory this year, but Winnie the Pooh doesn't lead him astray for the runtime of Christopher Robin, a sentimental movie that probably doesn't need to exist but still works hard to keep you entertained. Opening with a montage that's likely to draw tears, we see young Christopher enjoying a final meal with his imaginary pals before he sets out for an adolescence defined by tragedy (his father dies) and drudgery (he goes to boarding school). From there, the boy becomes a soldier and serves in WWII, a detail plucked from the biography of the real-life Christopher Robin Milne, Milne's son who inspired the character. After the war, Christopher meets his wife Evelyn (Hayley Atwell), gets a job as a middle-manager at a luggage company in London, and attempts to be a kind, caring father to his studious young daughter Madeline (Bronte Carmichael). In a twist clearly meant to strike pangs of regret in the hearts of parents and other older audience members, Christopher has become obsessed with "efficiency" at the expense of more Pooh-ish values like joy, curiosity, and slovenliness. He works late, ditches his family on a trip to the cottage, and is getting ready to send his own sweet child to boarding school. To put it in the parlance of current times, Christopher Robin is washed -- and it's up to Pooh and friends to remind him of his old self. The film's five credited writers-- which include indie auteur Alex Ross Perry, Oscar-winner Tom McCarthy, and Hidden Figures scribe Allison Schroeder -- are riffing on both the larger mythology of Milne's work and elements of his son's life. The "real" Christopher Robin was not visited by his old toys. If you're looking for a more straightforward chronicle of the Milne family, Goodbye Christopher Robin, a biopic starring Alex Lawther, Domhnall Gleeson, and Margot Robbie, was released last year and apparently covers the family's struggles in greater detail. 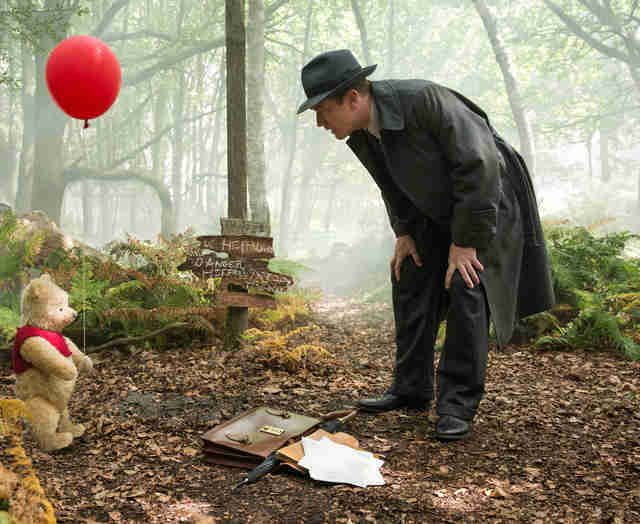 Christopher Robin director Marc Forster crafted a similar nostalgia-soaked literary origin story for J.M. Barrie in 2004's Johnny Depp vehicle Finding Neverland, but he has a more whimsical task of blending fantasy and reality here. It ends up being a tougher acorn to crack. How do you balance the free-wheeling innocence of kid-dom and the unceasing demands of adulthood? Can you bounce, Tigger-like, from slapstick to realism? It's unclear why exactly this movie had to pose such unanswerable questions. The emotional palette of your average Pooh story can be quite complex -- the bleak donkey Eeyore was dealing with his mental health issues way before Bojack Horseman -- but they rarely have to keep as many plates spinning as the narrative designed here. In addition to making room for Pooh associates like Tigger, Piglet, Kanga, and Owl, the plot must settle enough domestic and professional conflicts for an episode of Mad Men. Despite offering a critique of "all work no play" capitalism, the actual story is obsessed with goal-oriented set-pieces where characters race to find one another. Luckily, Detective Pooh is on the case. 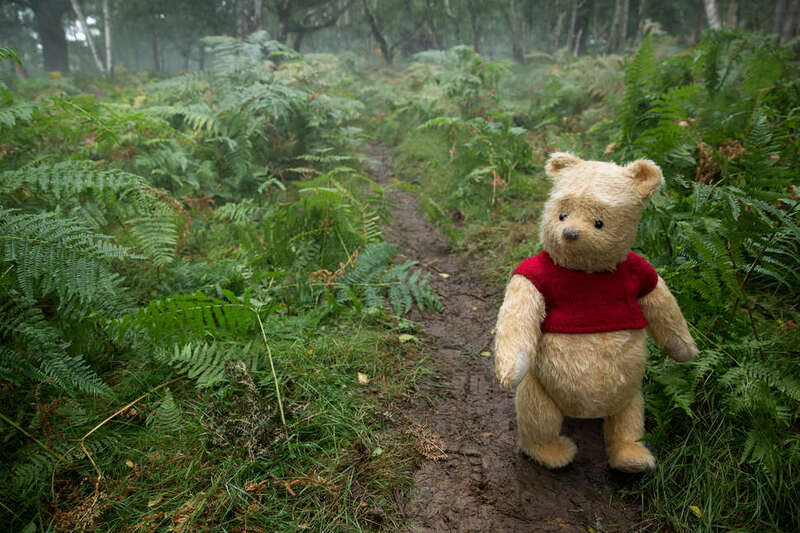 As a director, Forster doesn't help matters by shooting the busy streets of London and the empty paths of the Hundred Acre Woods in the same gray colors. Early in the film, Pooh puts his paw against some brush in a shot that feels self-consciously designed to evoke the naturalistic poetic wonder of late-period Terrence Malick, but it lacks the visual grace of 2016's kiddie Malick pastiche Pete's Dragon. Instead, the movie's greatest pleasures are verbal: Pooh turns the waxy cliches of modernity into honey-spun aphorisms of startling linguistic profundity. His constant talk of "nothing" and "something" makes you wish he'd start his own podcast. I'd donate to his Patreon. When the trailers for Christopher Robin first debuted, some fans were taken aback by the design of the new Pooh, and it's true the texture of his fur does take some getting used to. Honey sticks to his face and mud cakes around his feet in unnerving ways. His eyes look vacant. But it's all in the voice: Actor Jim Cummings has been providing the velvet timbre since 1989 and he's excellent here, selling each observation, zinger, and heartfelt message with an understated lilt. Even if you've become a results-obsessed workaholic like the movie's hero, all you need to do is close your eyes. The sound of Pooh takes you home.